Is your family looking for an Easter to remember? El Capitan Canyon is the place for adventurous families looking for an outdoor experience this Easter weekend. The luxury camping resort nestled in the Santa Ynez Valley in Santa Barbara, Calif., amid blooming spring colors, magnificent wildlife and coastal scenery is offering a special Easter brunch buffet, a 3,000 egg hunt for the kids and a wine-tasting event for the parents. I can’t help but recommend this because I don’t think there are three things that I love more than brunch, fun activities for my children and wine tasting — but it gets better. 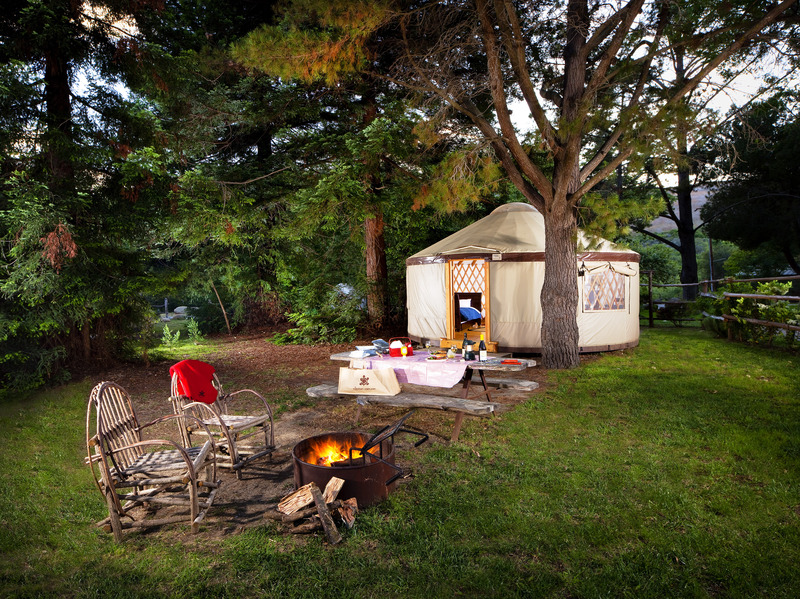 To experience the great outdoors in the blossoming spring season, visitors can stay in cedar cabins, safari tents and adventure yurts in villages throughout the canyon. Children hoping to catch a glimpse of the fabled Easter Bunny can take part in a 3,000 egg hunt beneath historic sycamore and oak groves along El Capitan Creek on Sunday, April 20. Little ones 4 years old and younger will also have the opportunity to engage in a pre-egg hunt. Those who are fortunate may even see the native Californian jackrabbit or cottontail hare bouncing around on the forest floor. El Capitan will also host an Easter Brunch Buffet for families and guests, celebrated with El Capitan’s very own Easter Bunny. El Capitan offers guests an abundance of activities for making the most of their Easter weekend or weeklong getaway. Minutes away from valley villages, families can dip their toes into the Pacific Ocean and enjoy the warm spring weather on sandy white beaches along California’s central coast. Just north of El Capitan Canyon sits Refugio Beach, a hidden gem with beautiful vistas complete with picnic tables for the perfect afternoon with the family. Visitors seeking adventure can also take part in guided nature hikes through the valley, rent bicycles or Segway’s, rock-climb, surf, kayak, and even try their hand at El Capitan’s own high ropes course.